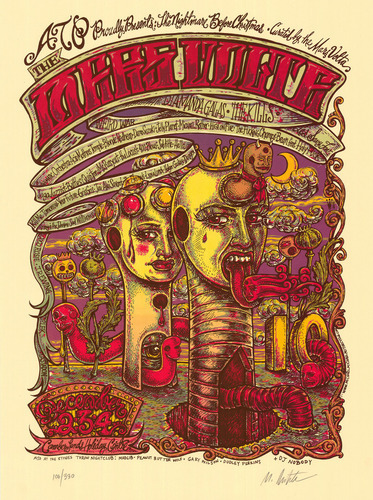 Official poster from ATP's 'Nightmare Before Christmas' festival curated by The Mars Volta (Dec 2005). Limited edition screen print designed by Michael Motorcycle. Prints are hand signed and numbered.